As a military family, it is inevitable that we will be traveling and will need a place to stay for an extended period of time. 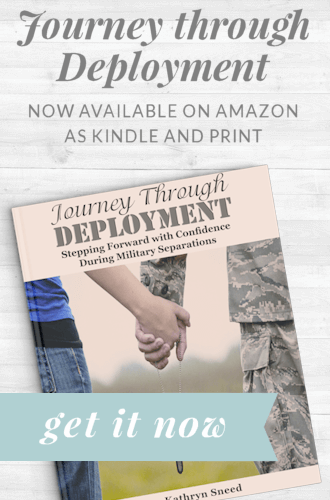 Between multiple PCS’s, deployments and TDY’s, there’s always a reason to be looking for the right place for the right price for an extended stay. 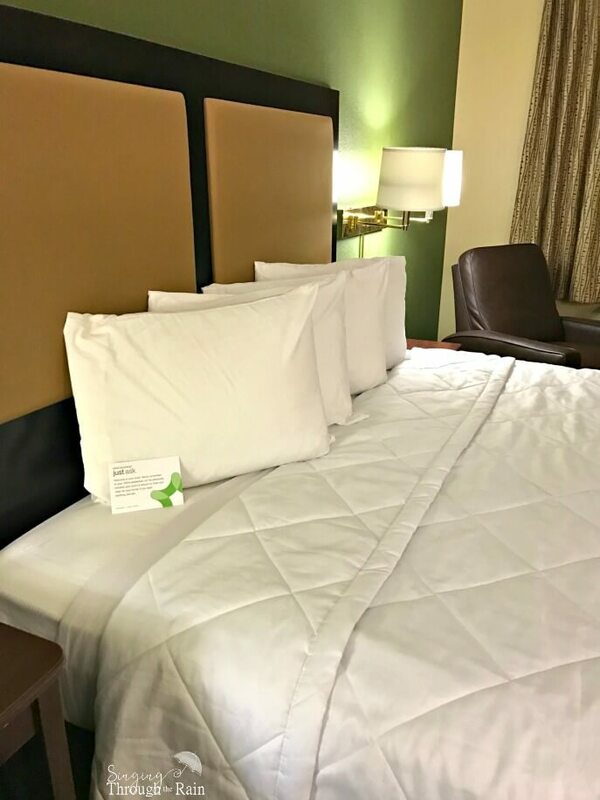 I had the pleasure of staying at Extended Stay America hotel recently and I believe it is the perfect place for military families to stay. Whether you are PCSing across the country or your spouse is going on TDY, Extended Stay America’s prices are always at or below the per diem rate. Extended Stay America’s prices are always at or below the per diem rate for #military families. One of the big things about traveling for an extended period of time is the extra money you have to pay for food and going out to eat. 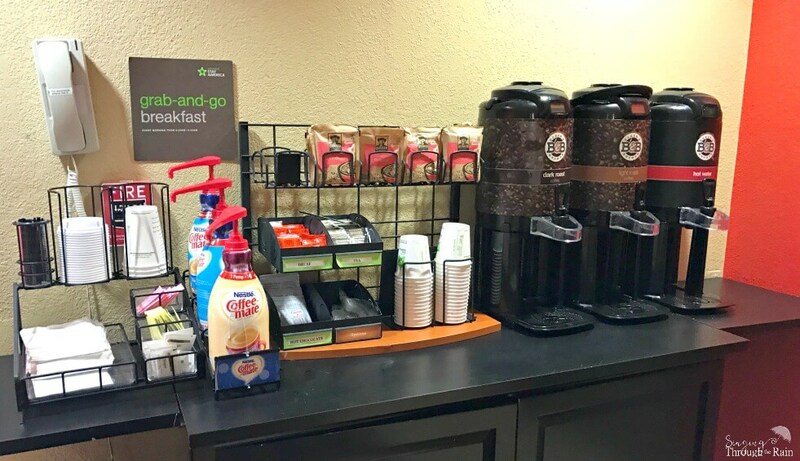 When staying at an Extended Stay America hotel all rooms have a kitchen that includes a full-sized refrigerator, microwave oven, stovetop, toaster, coffee maker, cooking utensils, dishes, and cutlery. Cooking and being able to prepare your own food in your own room can save you a lot of extra money and makes it easy for those who are a time schedule. When my husband has gone TDY, he loves being able to cook in his room so he can save money. He usually makes things like ramen and other quick-heating meals because he’s on a time-crunch, but having everything he needs right in the room makes it easy on him. We’ve all been there. Your base’s temporary living facility is full or is not willing to take on pets and it’s near impossible to find another hotel that will accept pets. We all love our pets, but sometimes military life makes it hard to have them. At Extended Stay America, you won’t have to worry about your pets because there are plenty of pet-friendly rooms so that you and your family can stay close to your best animal friend! Your child was carsick and threw up? The baby had a diaper explosion? Or maybe your spouse is on TDY and needs to get their uniforms cleaned. Whatever the reason, Extended Stay America has an on-site guest laundry room at every hotel to help make traveling even easier! Did I mention all the free things that Extended Stay America offers? Kids Stay Free – Children under 17 always stay free when with a parent or guardian. PLUS select hotels offer shuttle services, a fitness room, swimming pool, hot tub, and in-room dishwasher and oven! One of the first things I look at when I am booking a hotel are the pictures of the rooms. Most hotels show pictures of their best rooms, but their best rooms aren’t necessarily the average room that most people get and so it is very different when you arrive. 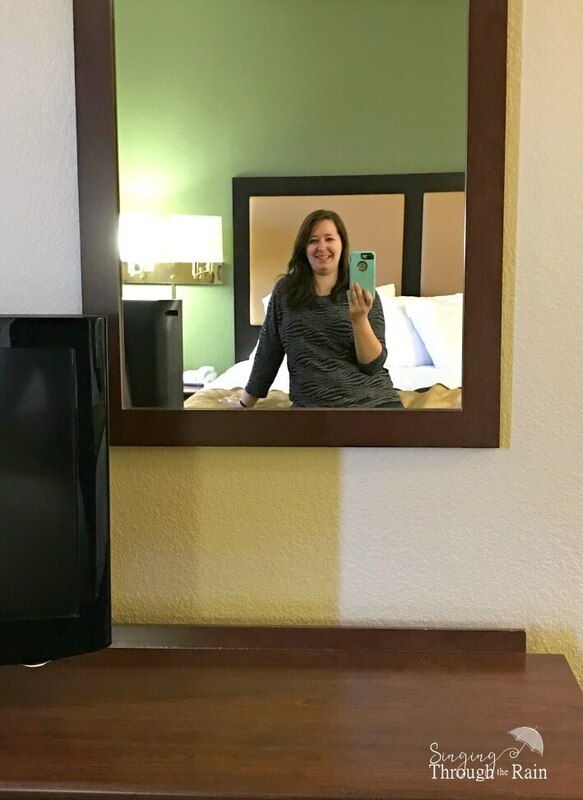 While that’s not technically a bad thing, I was genuinely please to see that the room I stayed in looked exactly like in the pictures on the website. I was also very pleased with the size of the room and thought it was a good size and very clean. 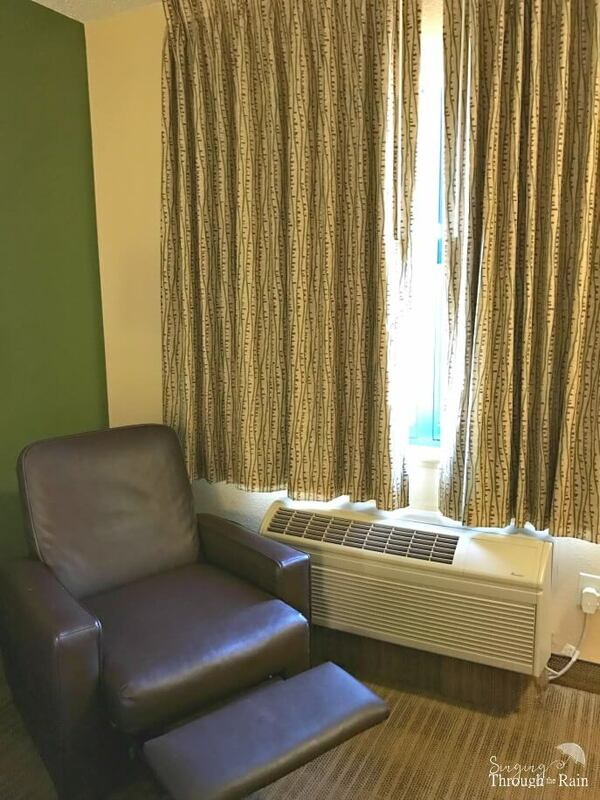 Each room comes with a flat-screen tv and a very comfortable recliner so you can sit back and relax. It also gave me the opportunity to be comfortable while I worked online. Each room also had a good-sized, spacious closet with plenty of room for a family to hang their clothes and leave their shoes. One of the things I loved about the particular hotel I stayed at was the friendly staff. Everyone I came in contact with was sincerely and genuinely helpful and nice. I was able to ask questions about the area and they gave me some fantastic recommendations about what was around there and the best places to eat and shop. The staff told me I could ask for anything I needed – including extra amenities that may not be in the room at the time. I called down and asked for a hairdryer and it was brought up immediately. I really enjoyed talking with the staff and getting to know them during my stay. Of course, life is not perfect and while my stay there was great, there were a few things I noticed that could be better. TV Channels – Okay so I know this isn’t a huge dealbreaker, but I was disappointed with the amount of channels offered and selection I was able to watch. If I were staying for an extended period of time I would definitely hope for more in that area. WiFi – While the WiFi was free, it was pretty slow and spotty. 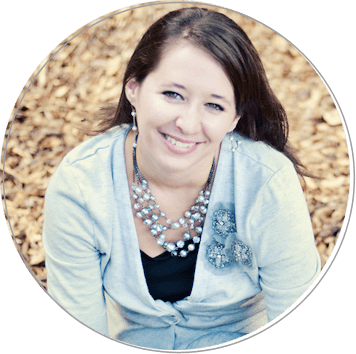 This can be a problem for those military members who may want to use the internet to keep in touch with family members or those (like my husband) who take online classes on the side. 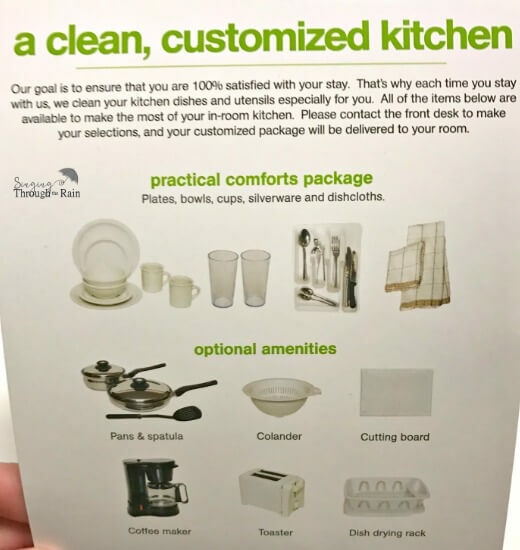 Cleanings Only Once a Week – Because it’s an extended stay hotel, the rooms are only cleaned once a week and you have to pay extra if you want them to clean more often. Not a deal-breaker but definitely something to keep in mind depending on your needs. All-in-all I had a wonderful stay and would definitely stay at one of their 600+ locations again! What about YOU? Do you have an Extended Stay America Hotel nearby?